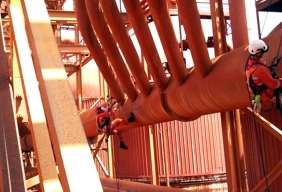 Using rope access, large areas of plant are accessed quickly as there is no additional time for erecting and removing scaffolding or other systems, also reducing labour requirements & costs. 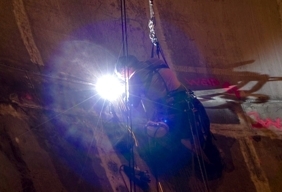 Rope access has led to significant cost savings for our clients thanks to the elimination of traditional access systems, allowing the work front to be accessed within minutes at the start of shutdowns. 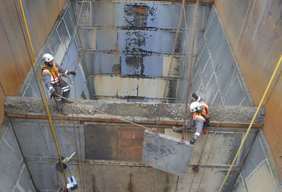 This means more time can be spent on improving the integrity of the assets through planned and preventative maintenance. 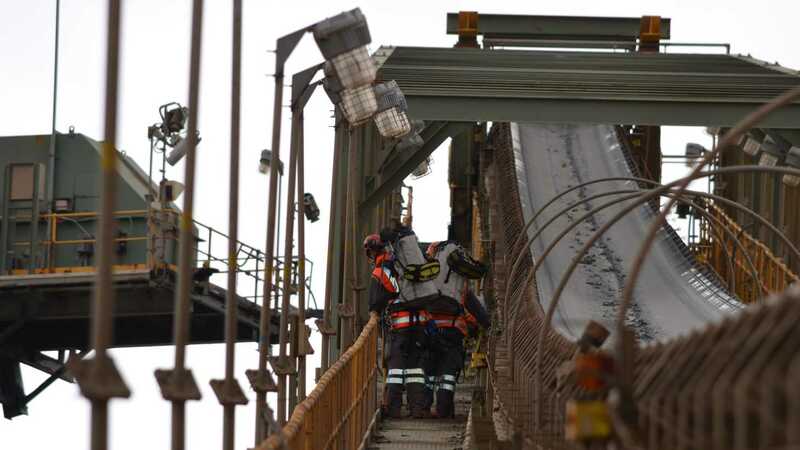 The works have involved replacing splitter chutes, wear liners and weld repairs on train load outs as well as wear liner replacements in crushers and placement of wear max. Geovert have also been undertaking wear liner advisory services with mapping of the wear levels and reporting these back through to the client so that planned maintenance can be accurately scheduled. 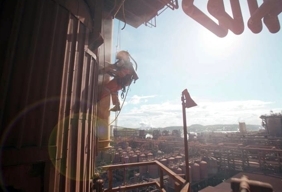 We apply the same techniques for bulk handling and processing facilities from pit to port. 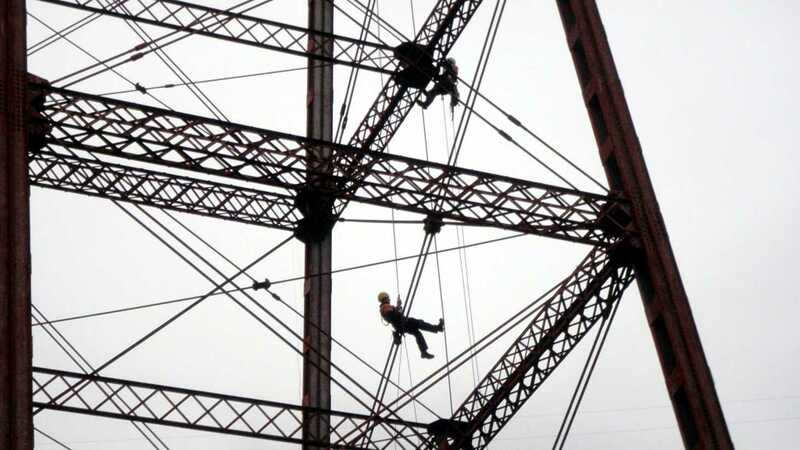 Rope Access is a form of work positioning that’s an internationally recognised alternative to traditional methods of access such as scaffolding, EWP’s and cranes. 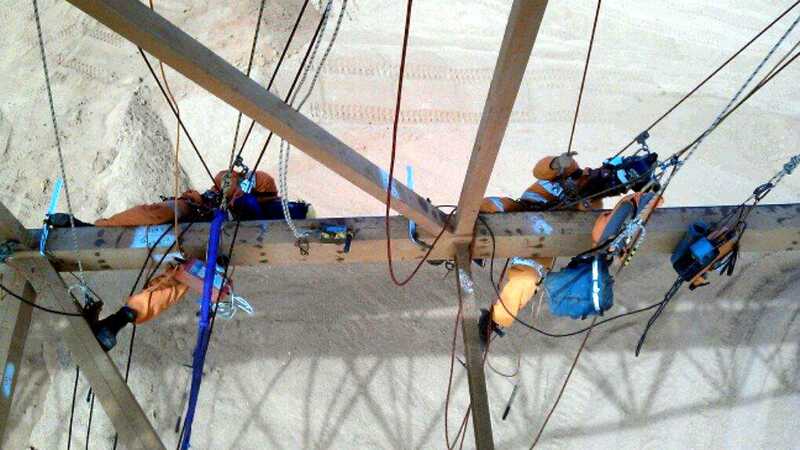 Our experienced and IRATA certifed Rope Access tecnicians use 2 ropes for all work. One rope is the ‘working rope’ the other is a back-up or safety rope. 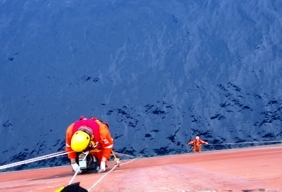 Both are permanently attached to tested anchor points to prevent falls. For hot work, grinding and cutting we have developed additional safety methods as part of our safety procedures that are continually reviewed through detailed risk assessments. 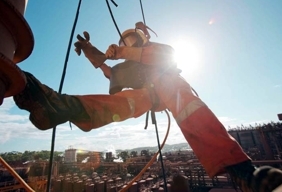 Rope Access should not be confused with ‘Work at Heights’ where people can still fall to cause injury. 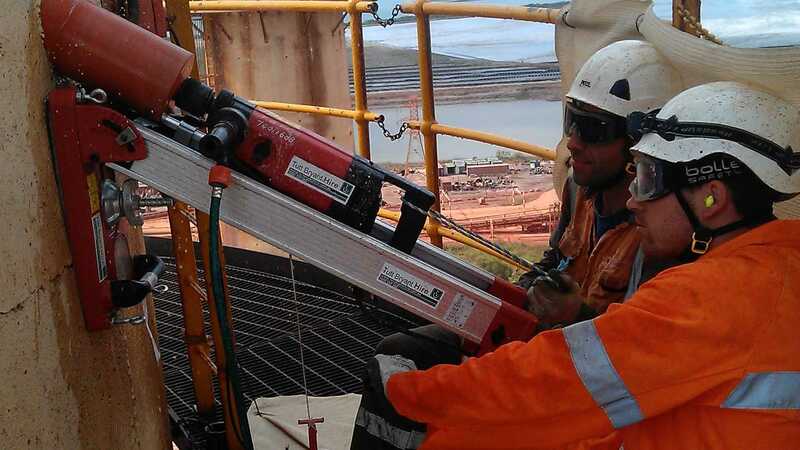 Geovert conducts a range of inspection services for structural surveys, corrosion protection and coatings as well as NDT on a wide variety of plant and equipment. 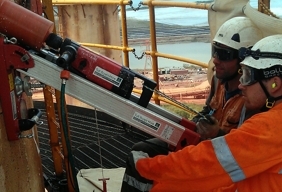 The NDT is undertaken by VERTEST, a wholly owned NATA accredited subsidiary. Visit www.vertest.com.au and download the Capability PDF for a full list of services. 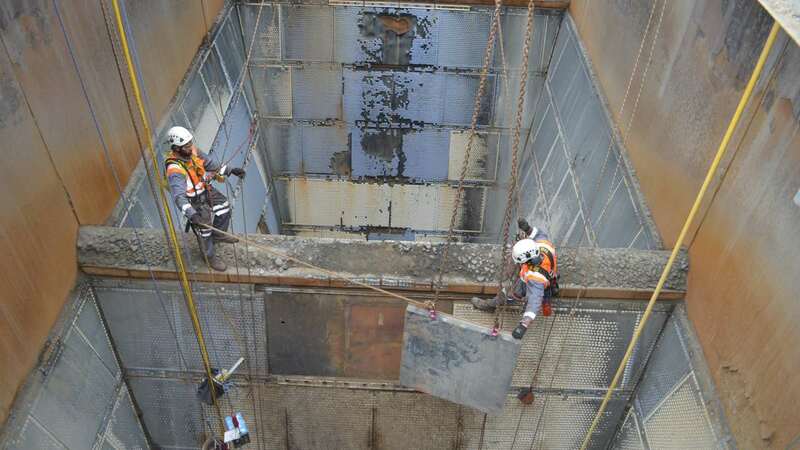 To meet the demands of today’s industry, Geovert provides multi-disciplined teams with experience throughout the resources sector undertaking maintenance and construction for shutdowns. 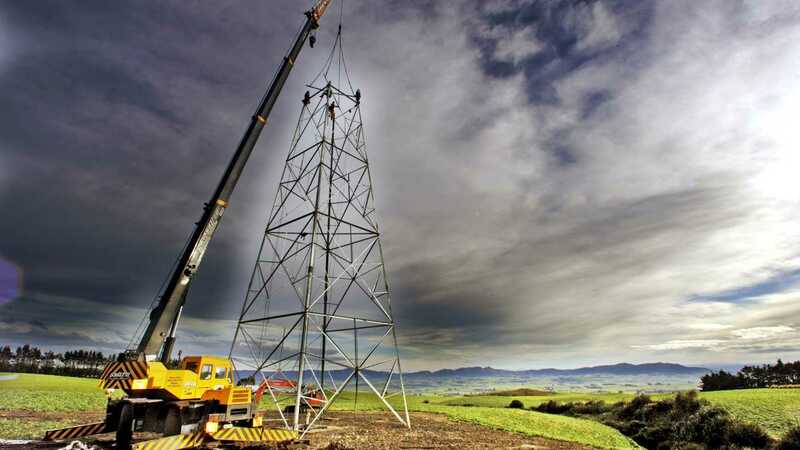 Using roped access, large areas of plant are accessed quickly as there is no additional time for erecting and removing scaffolding or other systems, reducing labour requirements. 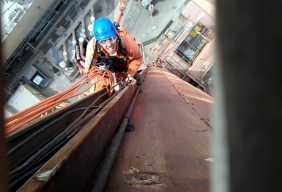 Rope access has led to significant cost savings for our clients with increases in tool time on important activities as the work front is accessed within minutes at the start of shutdowns. This allows more time spent on the tools improving the integrity of the assets through planned and preventative maintenance.